“We had our wonderful get together on Saturday June 29th in Arvada, CO at a local restaurant.There were eleven Colorado Burbank High School Graduates. Some had their spouses or companions with them so we had a total of 16. We ate, and laughed, and reminisced, and talked and talked and talked !!!! In addition to the Class of ’68, Burbank High was also represented by John Kirkpatrick ’48, Hal Haynes ’49, Dona Creswell ’49, Betty Kesling Costa ’49, Lorene Foreman Branson ’49, and Joel Strickland ’79. The directory of the last reunion (our 40th), shows Class of ’68 grads living not only in Colorado, but also Arizona, Washington, North Carolina, Oregon, Hawaii, Alaska, Texas, and Nevada. Anytime someone wants to host a regional mini-reunion, contact us and perhaps we can help you round up folks in your area. 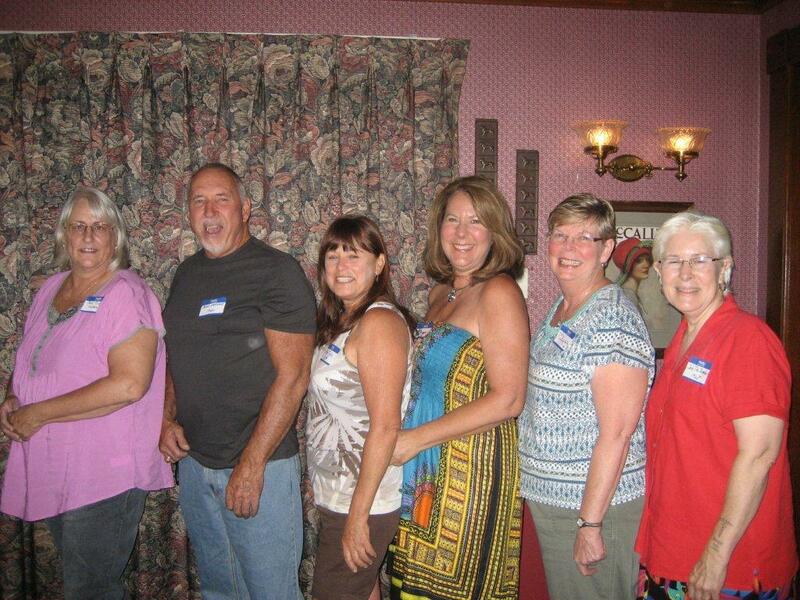 Posted by Katherine Crosier on August 1, 2013 in Burbank High School and tagged Arvada, Bonnie Sjostrand, Colorado, Jan DeJaegher, Jodi TIllotson Huddleston, John Lockwood, Kathy Swedberg Wootton, Mary Ogle, Mini-reunion.